When your school includes one of Oxford University's top 50 educators in the world, you naturally gain access to an international stage. George Puia, who holds the honor of serving as The Dow Chemical Company's Centennial Chair in Global Business, represents one of the many phenomenal professors dedicated to preparing our students to thrive in the world of business. And with SVSU's low student-to-faculty ratio, you will receive the personal attention and opportunity to truly stand out when it comes to securing a job after graduation. SVSU proudly holds the AACSB accreditation, ranking our business programs in the top 5 percent of business schools in the world, making Cardinals not only qualified, but incredibly competitive in the job market. Having traveled to 13 countries, Hali Motley has a head start on her career in international business. Through an internship with the Michigan Manufacturing Technology Center, Hali helps businesses grow and compete worldwide. It helps that she has developed valuable connections through SVSU's Dow Entrepreneurship Institute and Cardinal Business Edge program. We ensure our international business students graduate with the skills and knowledge needed to prove themselves in a competitive global marketplace. From supporting our students in obtaining proficiency in at least one foreign language, to encouraging our international business students to spend at least one semester abroad, SVSU welcomes students to experience an education that supersedes the classroom while also preparing them with the core course requirements necessary to succeed in their future. At SVSU, students participate in business fraternities and nationally regarded associations for professionals such as the AMA, DECA and APICS. In addition, SVSU provides clubs and honor societies that connect students with business professionals, career services support and conferences around the country. You also have the chance to develop your skills in research and analysis by supporting the work of SVSU professors or gaining a global perspective with the Vitito Global Leadership Institute, which leads SVSU students to interact with the corporations and business practices in a foreign country, gaining a more nuanced and holistic understanding of business. 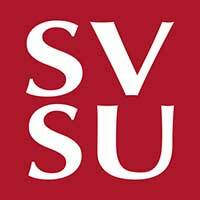 There's so much for you to accomplish as a business student at SVSU, and the opportunities for growth will far exceed your expectations. Students choose to earn their degree at SVSU so they graduate with the knowledge and experience to take them anywhere. With 95 percent placement of our graduates (based on a survey of recent graduates), Cardinals find meaning and purpose in their work with domestic and foreign corporations, multinational service firms, contracting and consulting work, federal agencies, international airlines as well as throughout the hospitality, marketing and banking industries. Thanks to your study abroad and internship experience with the department, you will network with professionals around the world before you even graduate. You will develop a stronger sense of work that stirs your passions and creates a decisive direction for your future.